Rooms in Japan are frequently measured by the number of tatami. 4.5-tatami rooms are common and are the norm for tea rooms. 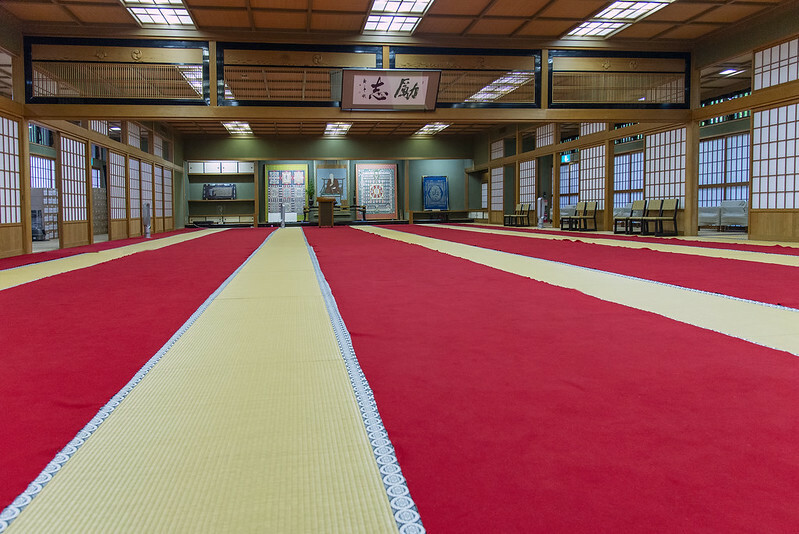 8-tatami rooms are considered large. However, on this day I sat in a 169-tatami room sipping tea by myself. 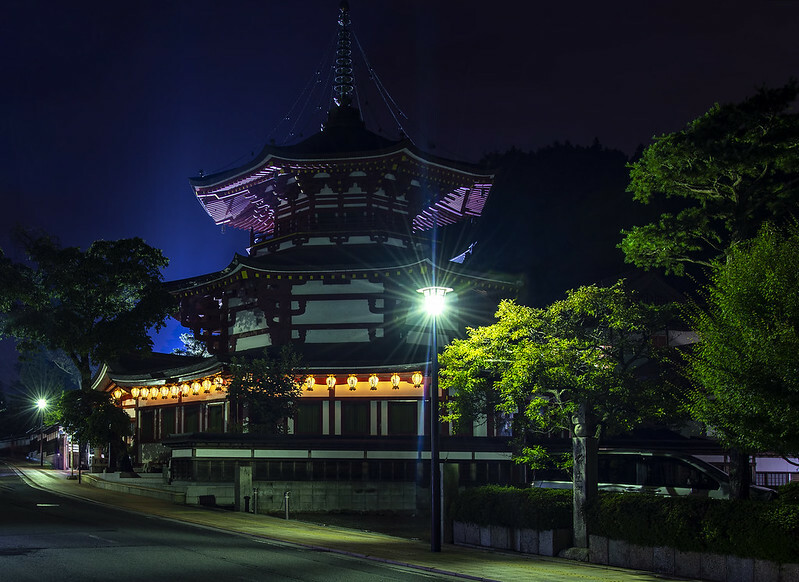 This room is known as the “New Temple Annex” (新別殿) in Kongobuji. I’m guessing on most days the room has dozens of tourists in it so this photo was a rare opportunity to capture the room vacant. 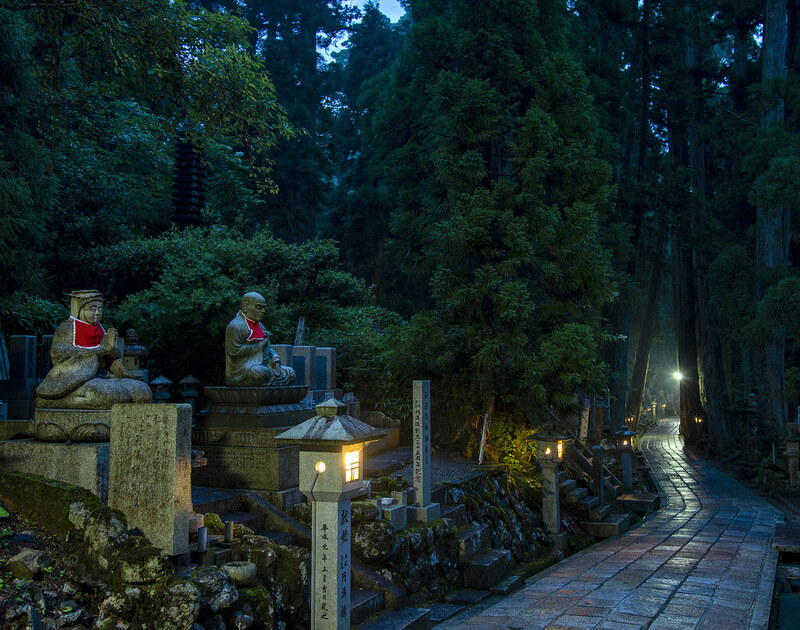 Besides having one of the largest tea rooms in Japan, Kongobuji also has the largest rock garden. 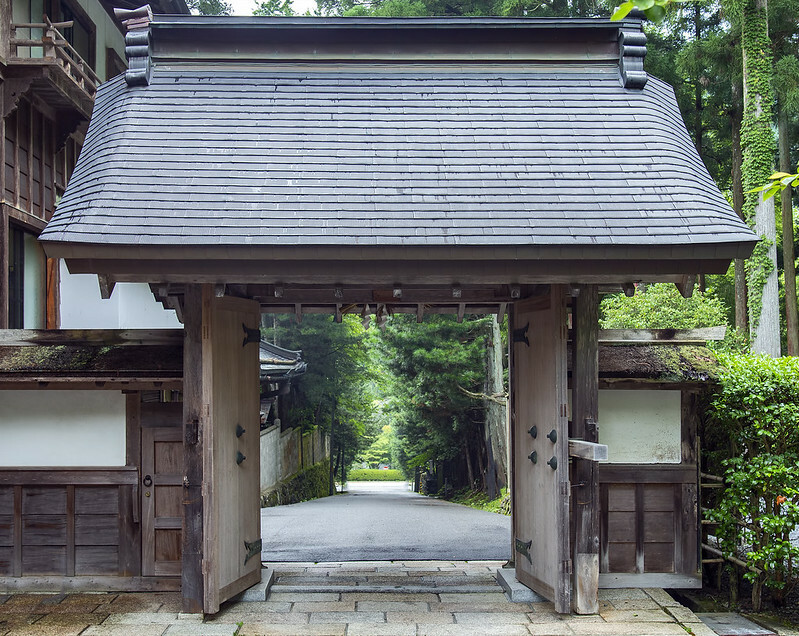 And if that isn’t enough to get you to Kongobuji the next time you are on Koyasan, you can head over to the Willow Room to see where Toyotomi Hidetsugu, and several of his wakashu (若衆), were ordered to commit suicide. I did not know what Manihoto (摩尼宝塔) was when I took today’s photo more than five years ago. Doing a little research revealed this. Today’s photo comes from the bridge (御廟橋) everyone must cross in order to reach Kobo Daishi’s mausoleum (弘法大師御廟) on Koyasan. I’ve never seen one of these before (or since), but my understanding is that this is set up for those who died in water accidents or who have some sort of water-related ailment. The pure water in the Tama River running past Kobo Daishi’s final resting place is supposed to bless them or their souls or something.